If you’re a young writer in Australia, and have been wondering about opportunities to submit your work, then look no further. 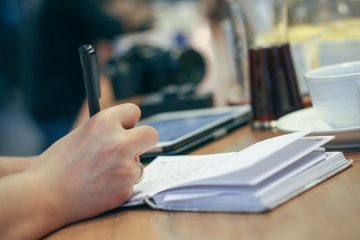 This post contains a list of writing competitions for the first half of 2019, together with useful information such as word limits, closing dates and links to entry forms. Be sure to check back regularly, though, because I’ll update the post whenever info about other competitions are released (I know there are at least half a dozen more whose details aren’t out yet). You can also sign up for my monthly newsletter, in which I always include a list of opportunities for the coming month. The competitions listed are in reverse order of closing date, meaning those that are due in February are at the bottom of the list and those in July at the top, apart from the first one listed, as it has a different competition each month. Write the World describes itself as a ‘community of young writers (ages 13-18), hailing from over 80 countries’. Write the World holds monthly competitions, developed around a particular idea or genre of writing. The competitions encourage you to try out new genres and share your work with other readers, as well as offering the opportunity to receive peer and expert feedback, before submitting your final piece. Prizes: Winning entrant receives $100. Runner-up and best peer reviewer are awarded $50. All three winners will be featured on their blog. More info: For a more detailed information about each topic, including deadlines (for draft and final submissions) and prizes, head to the Write the World website. The brief: Write a story of up to 500 words on the theme of ‘change’. The theme is open to interpretation, as long as the piece contains significant elements of eeriness/spookiness and a clear connection to the theme. Open to: The adult section is open to Western Australian residents only, but the youth section is open to both WA and interstate writers. Categories: Adult and Youth categories. Prizes: Youth (WA) first prize: $100, certificate and goody bag; Youth (WA) second prize: $25, certificate and goody bag; Youth Interstate Award: $25 and certificate. Closing date: 5.00pm AWST Friday 19 July 2019. Further information: For further details, including about the theme, access to the on-line entry form, and a reading of last year’s winner, head to the KSP Writers Centre website. The brief: Write a poem on the theme of ‘location’. Open to: The junior sections are open to primary and secondary students. There is also an open section for poets 18 years and over. Categories: primary school students; secondary school students; open class. Cost: no entry fee for students. Prizes: 1st, 2nd and 3rd prizes, plus highly commended and commended certificates. The total prize pool is $700. Closing date: 5 July 2019. More information: Poetic Pause website, or email the competition secretary, Ms C Cordon (kittycordo@gmail.com). The brief: Submit fiction or non-fiction of up to 3000 words in length, and poetry up to 100 lines. One entry per category may be entered, with a maximum of 2 entries across the 3 categories. Open to: Australian secondary school students. Categories: poetry, fiction and non-fiction. Prizes: Shortlisted writers will be invited to meet John Marsden and participate in an exclusive workshop with a best-selling Australian author. Prize winners will also receive a cash prize and book pack of YA titles, courtesy of Hachette Australia, plus publication of their work on the Express Media site. Closing date: Sunday 30 June 2019. Further information, including how to submit online from Express Media. Open to: students enrolled in Australian education facilities. Cost: Schools entry fee: Online – $25 for up to 30 entries; $50 for unlimted entries; By post – $35 for up to 30 entries; $60 for unlimited entries. For individuals (i.e. for homeschoolers or if the school is not entering): $15 for up to 3 entries submitted online, or $25 if submitting hardcopies by post. Categories: Lower Primary (Years K – 3); Upper Primary (Years 4 – 6); Assisted Learning Primary; Junior Secondary (Years 7 – 9); Senior Secondary (Years 10 – 12); Assisted Learning Secondary; Multicultural NSW Award; Schools Award. Prizes: Monetary prizes and gift packs are awarded to category winners and runners-up. Further information: Go to the Dorothea Mackellar Poetry Awards website. There you will find info about conditions of entry, as well as learning resources to help you get creative. The brief: Write an original piece of prose writing, no more than 2000 words in length. Open to: Western Australian school students in years 1 to 12. Categories: lower primary (years 1-2); middle primary (years 3-4); upper primary (years 5-6); lower secondary (years 7-9); upper secondary (years 10-12). Prizes: Prizes are presented to the top 3 entries in each category. The Tim Winton Award for Outstanding Achievement will be awarded to the best overall story across all categories. Winning stories will be on display for one month at Subiaco Library and published online. Closing date: Monday 24 June 2019 (submissions open Tuesday 4 June). For further information,including access to on-line entry form and winning stories from previous finalists, head to the Subiaco Library website. The brief: create a picture book or story book that tells an original story, using original text and illustrations. Open to: Western Australian students from pre-primary to year 8. Categories: years PP-2 picture book; years 3-4 picture book; years 3-4 story book; years 5-6 picture book; years 5-6 story book; year 7-8 picture book; year 7-8 story book. Prizes: 3 prizes are awarded for each age group, in each category. Closing date: Friday 7 June 2019. More information: Check out further info for the Make Your Own Story Book Competition and download an entry form, which spells out instructions and guidelines in detail, including the difference between a picture book and a story book. Categories: Open category; Youth Incentive Award. All youth entries will be included in the adult section for judging. Cost: Poets qualified to enter under the Youth Incentive Award can do so without charge but will be restricted to one poem. If you wish to enter more than one poem, you must enter as a regular, paid entrant, which is $10 per entry, or $20 for 2 entries, $25 for 3 entries and $30 for 4 entries. Prizes: There is are first and second prizes in the open categories Youth Incentive Award: $100 cash prize and the opportunity to perform the winning entry at the launch of the Poetry d’Amour 2019 anthology for the highest ranking entry, that has not won an award in the open categories above, from a person under 18 years of age. Closing date: 31 May 2019. More information: on entry requirements and how to submit can be found on the WA Poets website. The brief: Write poetry or prose, on any theme, up to 1000 words. Open to: all South Australian students. Categories: There are six categories, which include students from Reception to Year 12. Prizes: Shortlisted finalists will be contacted and invited to the Young Writers Award 2019 Presentation Night. Closing date: Friday 24 May 2019. More information: and an entry form can be found via the South Australian English Teachers Association (SAETA) website. What Matters? is an annual competition run by the Whitlam Institute. Entrants are invited to respond to the question ‘What Matters?’ by expressing their views on any subject or issue they care about. The brief: Write a 400-600 word piece in prose or poetry, either fiction or non-fiction, on an issue of significance to you. Open to: NSW, VIC, WA, the ACT and Tasmania. Categories: years 5-6; years 7-8; years 9-10; years 11-12. Prizes: All entrants will receive a certificate of participation. Prizes include $350 for each category winner and $200 for each category runner-up. 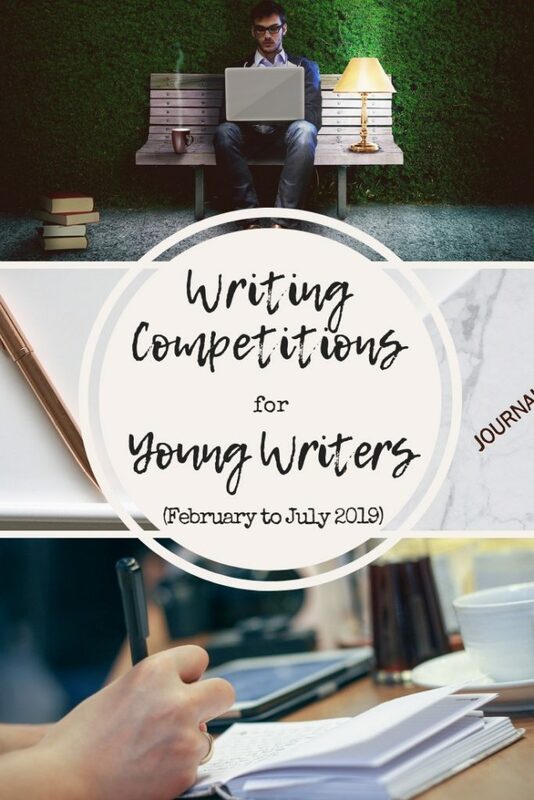 Winners and runnersup will receive their prize at an awards ceremony, following their participation in a Young Writers Forum run by The Writing Workshop, at the Whitlam Institute. More information: Check out the What Matters Writing Competition page for more details and to download an entry form for the state in which you live. You might also like to check out their competition guidelines, which include some great advice on how to write a winning entry. The Brief: Write a short creative piece in any format — fiction, non-fiction, poetry, comics — of around 800 words which engages with the theme Heroes and Villains. Open to: Children aged 8 to 14 years in NSW. Prizes: The winners will be published in the next Better Read Kids Anthology of Writing. Prizes will be awarded at a special launch event in June, including a $100 Better Read Than Dead voucher for first place and a $50 voucher for the runner up. More info: visit the Better Read than Dead website. Email entries to kids@betterread.com.au by April 26 with the subject line ‘Kids Writing Competition’. The brief: Write a short story or poem. Word limit depends on the category you enter. Open to: Ages 5 to 18 (although it also includes a category for adults). Cost: No fee is required for student entry (but $10 per entry for adults). Closing date: Friday 13 April 2018. More information: can be found on the Rocky River Writers Blog, where you can download the entry form as a PDF. The Brief: Submit either a poem or short story of up to 750 words. Open to: Sydney based young people, aged between 11 and 18 years of age. Categories: The competition is judged in five age categories by a panel of professional writers. Prizes: Prizes totalling over $2,000. All winners will also be offered the opportunity to attend a special writers masterclass. Closing date: Friday 12 April 2019. More information: entry conditions and online entry form can be found on the North Sydney Council webiste. The brief: You may submit a picture book, graphic novel, illustrated picture book, middle grade illustrated novel, or a published illustration. Picture Books: Text only for preschool or primary aged children up to 500 words in English. Open theme. Chapter Book: Text only for older primary aged children/young adult. First 1000 words in English. Open theme. a) Text only for younger primary aged children. First 1000 words in English. Open theme. c) Fiction writing for Young Adults. First 2000 words max and a page single spaced synopsis. Only the first 1000 words in English will be judged. Open theme. Graphic Novel/Illustrated picture book/Middle Grade Illustrated Novel: Fiction or non-fiction – any age group within CYA. Three pages of graphic novel or 3 pages of illustrated picture book, up to 500 words. Three illustrations of the middle-grade novel, with the words present on the pages. Words in English. (Complete story to accompany – not judged.) Open theme. NB: Read the guidelines outlined in the downloadable PDF carefully, as they are quite specific. Open to: Hatchlings (8-18 years old). There are other categories for both aspiring and published authors as well. Categories: see ‘the brief’ above. Prizes: 1st prize ($100); 2nd prize ($60) and 3rd prize ($40) per category. Short listed entries will be read by at least one children’s publisher. Closing date: 7 April 2019. More information: Head to the CYA Conference website, where you will find a stack of advice and information, including guidelines to help you prepare your entry, and formatting checklists. The brief: Write a story, submitting the first 5000 words maximum, with a one page, single-spaced synopsis. Open to: all writers between the ages of 8 and 18, worldwide. Prizes: First prize ($100); Second prize ($60); Third prize ($40). The brief: Write a short story with a maximum of 600 words. Open to: Anyone residing in Australia. The youth category is for writers who are 12 to 17 years of age. Categories: Youth and open categories. Cost: $5 for youth entries. Prizes: A judge’s Encouragement Award for Youth of $50 is offered as well as other prizes for open entries. More information: head to the Peter Cowan Writers Centre website. The Brief: This is not a competition per se, but a chance to submit your work for publication in Voiceworks, a literary journal that features the work of young Australians. The magazine is currently calling for submissions on the theme of ‘Goth’, and include fiction, non-fiction, poetry, art and comics. Open to: writers and artists living in Australia who are 24 years and under at the time of submission. Categories: Fiction (up to 3,000 words); Poetry (up to 100 lines); Non-fiction (up to 3,000 words but pitch first); Art and Comics (keep in mind that page dimensions are 170 x 245 mm, and comics should be pitched first). More info (and to pitch or submit): Information on how to pitch an idea or to submit work can be found on the Voiceworks website. The brief: Write a short story of up to 3000 words. Open to: Indigenous writers who are 30 years or younger at the closing date of the competition. Prizes: First place is a $5000 prize, publication in Overland’s print magazine, and a three-month writer’s residency at the beautiful Trinity College, the oldest student residence at the University of Melbourne. Two runner-up prizes of $500 may also be awarded. Closing date: 4 February 2019. More information: Entry conditions and online entry form can be found on the Overland Literary Journal website. Just a quick note: if you do enter a competition, take time to read the guidelines carefully to ensure you’re entry meets the requirements, so that it’s accepted. This can include seemingly minor details such as size, font and spacing of your text. If you’d like some guidance on what to look out for, then take a look at an earlier post of mine, Writing Competitions: What You Need to Know Before Entering. What are you waiting for? Start writing, keep writing – and let me know how you go! Thank you so much for creating this list! Some writers competition lists online were made a while ago and are expired, but thank for creating a fairly recent one! Great list! Hi Bianca, I’m so glad it’s useful. I will keep updating it as I find information about other competitions, so check back regularly. 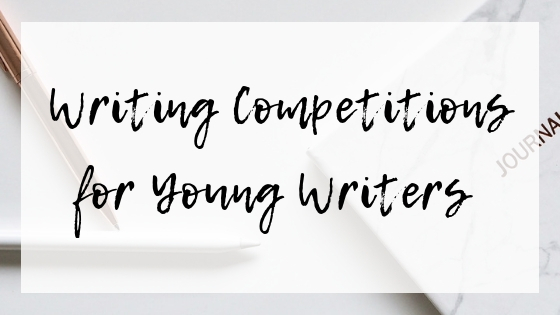 You can also sign up to my monthly newsletter, as I always include a section on upcoming competitions for young writers. All the best with all your writing! Hi Melinda! I’m mentoring a young writer at the moment. Were you planning on compiling a list of competitions that will be open in the second half of 2019? 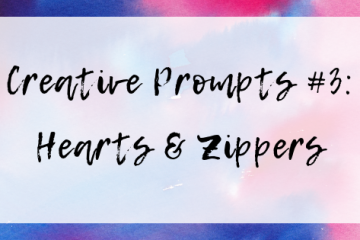 Hi Libby, I definitely will be – I’m not sure whether I will turn this same blog post into a whole year one, or start a new post, but will definitely be compiling a list! Ooh, good question! 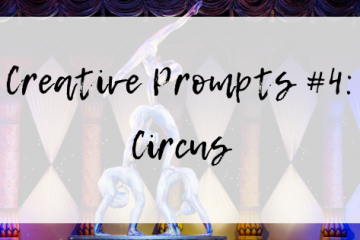 I haven’t come across any that are specifically for descriptive writers, although I imagine that most would invite effective use description, whether they are poetry or prose competitions … If I come across anything with a particular leaning towards the descriptive, I’ll let you know!